BANGKOK, March 21, 2019 – Coconut consumption continues to grow globally, increasing the nut’s profile as a safe food alternative, even reaching superfood status in some circles. According to the Asian and Pacific Coconut Community, an inter-governmental trade group, exports of coconut water from the Philippines almost doubled from 647,000 liters in 2008 to 1.8 million liters in 2010, before multiplying to 61 million liters in 2015. Against a backdrop of growing demand, USAID Green Invest Asia and one of the world’s largest cocoa producers and processors, Barry Callebaut, co-organized an industry meeting on sustainable coconut and coconut oil in Kuala Lumpur, Malaysia, on March 7. Some 49 companies representing over 40 percent of global coconut oil volumes attended, including some of the industry’s largest product buyers, as well as investors and non-profit organizations (NPOs) working with farmers. Attendees discussed ways to collaborate pre-competition on how to safely ramp up production when the growing cycle is so long, farmers are often poor and current productivity of trees is widely regarded as low. Gregory Bardies, Barry Callebaut sustainability manager. The problem with double-digit rising demand for coconut water, sugar and oil – mostly from China, the United States and several European countries – is lack of high-producing coconut trees to supply that demand, said Ponciano Batugal, chair of a technical working group with the intergovernmental body, International Coconut Community, based in the Philippines. “We are facing a time bomb, with 50 percent of the world’s coconut trees senile [too old] with low productivity,” Batugal said. In the Philippines alone- which produces 27 percent of globally exported coconut- production declines in the past three years have been attributed to aging coconut trees. Despite rising demand, the price farmers receive for their coconuts has fallen to the point of not being viable for most. According to the Wildlife Conservation Society, which uses community patrols to monitor deforestation, there is a risk in the short term of farmers abandoning coconuts – which some already have – and in the longer term, cultivating different cash crops in ways that encroach on protected forests, erode the soil and increase carbon emissions. 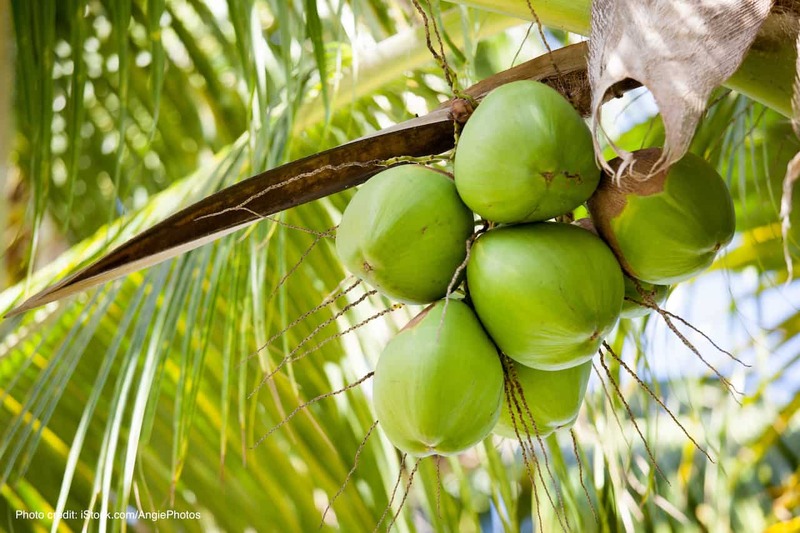 Global Interest in coconuts grown in an environmentally and socially responsible way (known as sustainable coconuts) has grown, yet the industry still does not have a widely accepted definition of what makes coconuts sustainable. Participants noted how an over-complicated supply chain with profit-taking middlemen is one challenge to boosting yields and profits. Farmers’ inadequate knowledge about smart (sustainable) agricultural planting methods, insufficient access to finance, and poor cooperation among different parts of the supply chain are other contributing factors. Initiatives to help coconut farmers get better pricing and production, jointly backed by companies and NPOs, are already underway. But more is needed, says Christy Owen, with USAID Green Invest Asia. 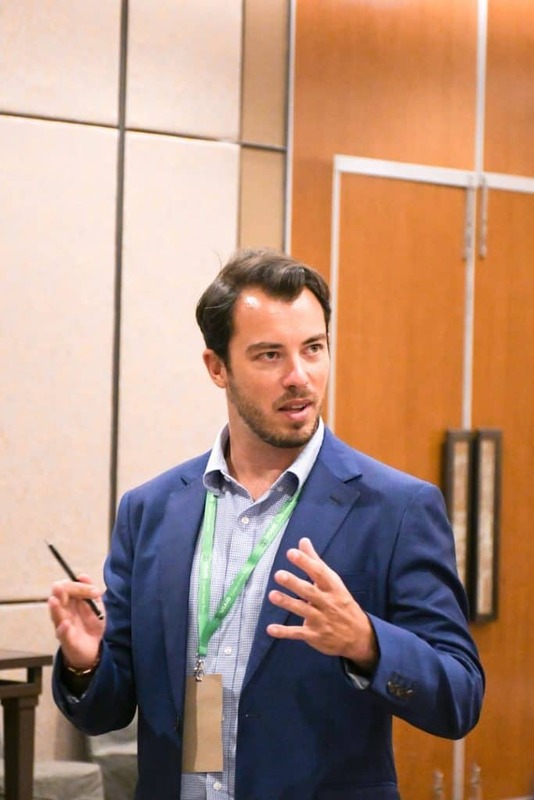 The Livelihoods Fund is trying to reduce the role of middlemen by connecting farmers directly with a local buyer, Franklin Baker, to improve pricing. Global food companies Mars and Danone along with the fragrance company Firmenich and the French energy company, Veolia, invested $45 million to improve sourcing, investing in young farmers, creating small and medium enterprise processors, and investing in crop diversification. On the finance side, the Philippine financial institution, Agronomika, working with a Dutch development bank, FMO, lends to farmers to help them plant cacao and intercrop, and estimates participating farmers have tripled their incomes over the past decade. Event report available upon request.